This is our traditional headjoint and the origin of the Pearl sound. It combines a warm, rich tone with excellent projection. Moderate over and under-cutting complement its elegant and refined tone for smooth articulation and responsive performance. This headjoint is a crowning achievement for Pearl. This headjoint is designed for large orchestras and concert halls. The Forte is very responsive, and produces a dark centered tone and enables a wide dynamic spectrum throughout the entire range of the instrument. This headjoint combines its own, graceful embouchure plate with modern undercutting techniques. It is easily controlled and produces an open and clear tone. The Vivo sound is silky smooth and ideal for chamber situations. This headjoint features a finely crafted combination of our Forte and Vivo cuts offering slightly more resistance than Forte. A perfect blend of powerful tone, effortless articulation and exceptional dynamic range. 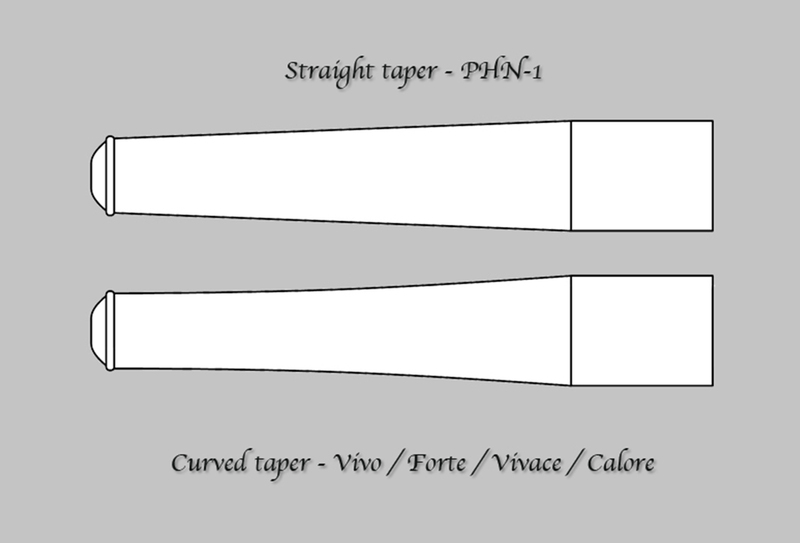 The headjoint tube is narrow at the top and wider at the bottom. Pearl hand-cut headjoint features the straight taper and curved taper, which affects the flow of air as well as the intonation of the flute. Our Handmade headjoints are available in solid .925, .958, and .997 Pure Silver, best known for its sonorous sound and its wide tonal range as well as solid Gold in 3 different carats – 10K, 14K and 18K. As the carat level increases, the sound gets warmer and richer, and gold never tarnishes. Our craftsman can also arrange these different metals to customize a headjoint into many unique creations. Using gold as the headjoint riser or lip-plate can greatly enhance the projection, desired tonal quality and subtlety. 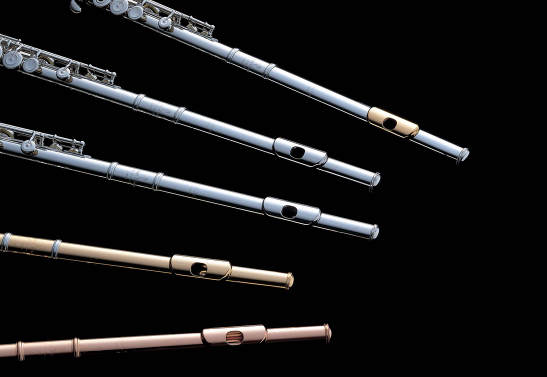 We suggest a personal consultation with your nearest specialist Pearl Flute dealer so that they can work with you in selecting from an assortment of headjoint models and materials.